J. García is a Latin Grammy nominated documentary filmmaker. He has been editing and making documentary shorts for over 10 years, driven by a strong story sense and a keen eye for detail. He started shooting skateboarding photos in early 90’s and by early 2000 he was making skateboard documentaries. In 2001 he moved to Los Angeles to pursue a career in the skateboard industry but fate had a different plan for him. Landing a Media Director job for Grammy winning artist Draco Rosa’s Media Company Phantom Vox. He spent the next 12 years of his life developing video marketing strategies for the artist and various music related projects. For the past 3 years J. García has been working as a freelance editor and director, working with Coca Cola Mexico, Vans Shoes, Banco Popular of Puerto Rico, T- Mobil, Sony Music, Stax Records, Red Bull Media House and Uproxx. He is a husband and father of two boys, an avid skateboarder, photographer, a closet graphic designer, well traveled and open minded individual, passionate about his work and easygoing. He was born and raised in Puerto Rico, and now reside between Los Angeles, Ca and San Juan, PR. You can reach him here. 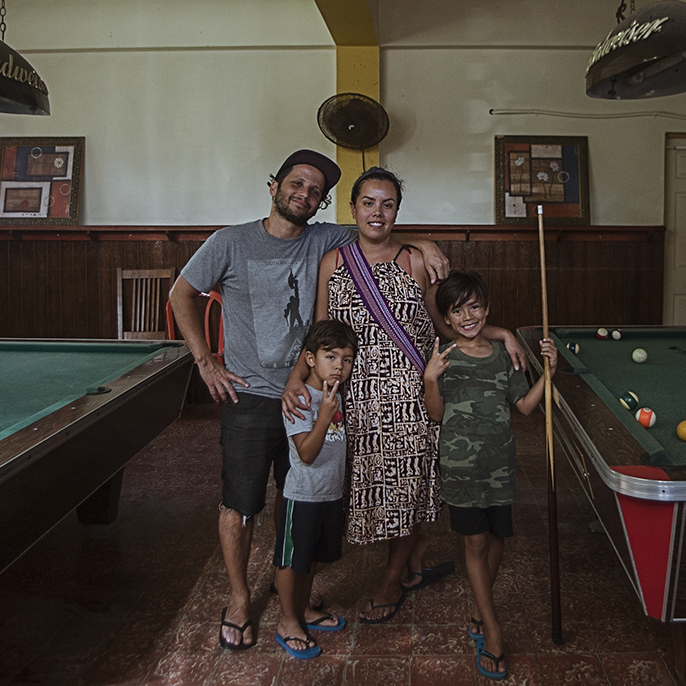 Family Portrait – Cerro Gordo, Puerto Rico winter of 2016.